Successful Students Come to School Every Day! 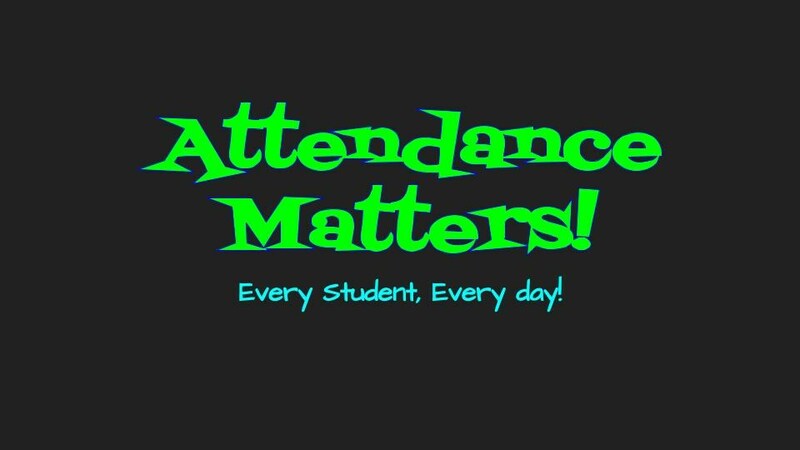 Attendance matters to your child's success! Make sure your child is at school every day. 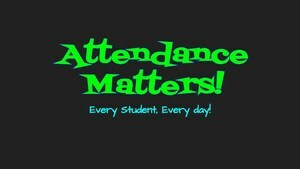 Did you know that missing just 2 days of school a month means a child misses 10% of the school year? Poor attendance can influence whether children read proficiently by the end of 3rd grade. Absenteeism and its ill effects start early. One in ten kindergarten and first grade students are chronically absent. Learning happens everyday! You must be present to learn! By law, we are required to contact you when your child's unexcused absences are in excess of 3 or more days. Upon return, please send a Dr. or signed parent not with your child describing the reason for the absence. Parent notes will not be accepted after 3 days from when the absence occurred. We are asking that your parent notes not exceed four for the school year. We are asking that tardies not exceed four for the school year. We are asking that leave earlies not exceed four for the school year.